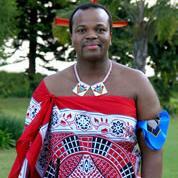 King of Swaziland and head of the Swazi Royal Family. In 1986, Mswati III succeeded his father Sobhuza II as ruler of the southern African kingdom. He is generally considered to be one of the last absolute monarchs in the world. He has the authority to appoint the country's prime minister, members of the cabinet, and the judiciary. However, he is bound to a certain degree by Swazi traditions and he does not have the authority to choose his heir. Mswati III is known for his taste for luxury and his practice of polygamy, and has been criticized abroad for pursuing his personal interests at the expense of his country. The government is providing funds to young unemployed people to set up businesses, in a bid to help revive the economy.